No matter if your moving local or long distance, Liberty Bell Moving & storage can get you there. With 11 locations across the New England we dispatch our movers from local offices near you, to keep travel costs low. Back in 2007 Liberty Bell Moving & Storage started out with one office and one truck. We focused on hiring local movers to provide local moves in Maine. Our motto from day one was to provide the best local movers in Maine. We worked hard for the first years in business to perfect the local moves, and slowly started providing the same quality long distance moving services. No matter if your moving to the next town or the next state, you can count on Liberty Bell Moving & Storage to coordinate and execute your move perfectly. We have highly trained move coordinators, dispatchers and warehouse managers who train all our movers. You can expect the best moving experience from start to finish with Liberty Bell Moving & Storage. 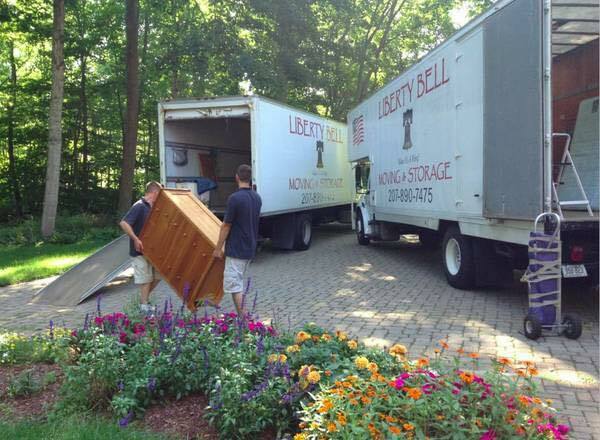 Liberty Bell Moving & Storage is known as the best moving company for being able to quickly dispatch local movers. Liberty Bell Moving and Storage is the premier moving service for your local move. We service all of Maine and New Hampshire with highly trained and professional movers, ready to ensure a hassle free move. Our services guarantee a seemless moving experience! We offer a complete moving service including; Packing, Helpers, Storage and More!